T.H.E. 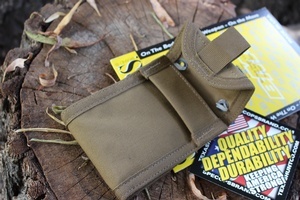 Wallet Mini -The smallest offering in our best selling Everything Wallet line. Does not include 550 cord. CLOSED: 4.75" high, 3.75" wide x .75" thick @13 cubic inches. OPEN: 12.5" high x 3.75" wide x .5" thick @ 23 cubic inches. Big enough to hold all of your daily essentials like cash, credit cards, and ID, yet small enough to be comfortably carried in a shirt pocket, front pants pocket, or worn around the neck. Inside ID window (with non-glare finish). Measures 4.5" x 3.75" x 0.75". 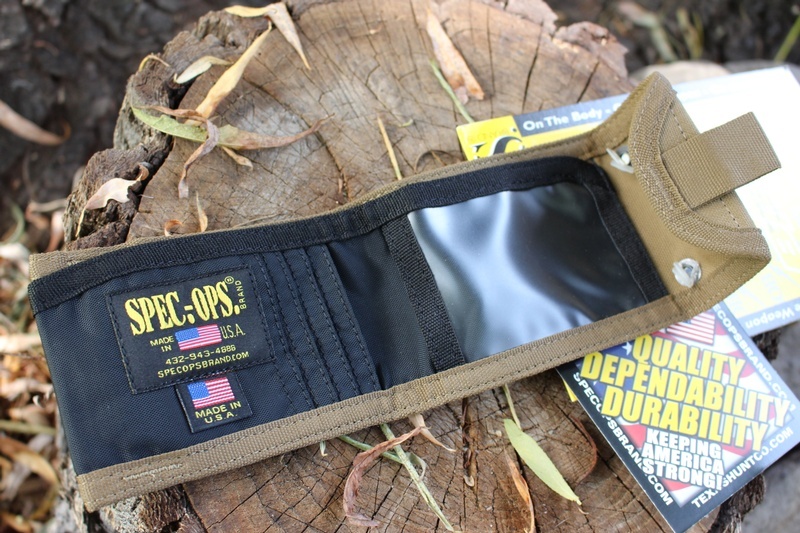 Purchase through PayPal by using the "Add To Cart" button above or use the form below to order the Spec Ops Brand THE Mini Wallet . 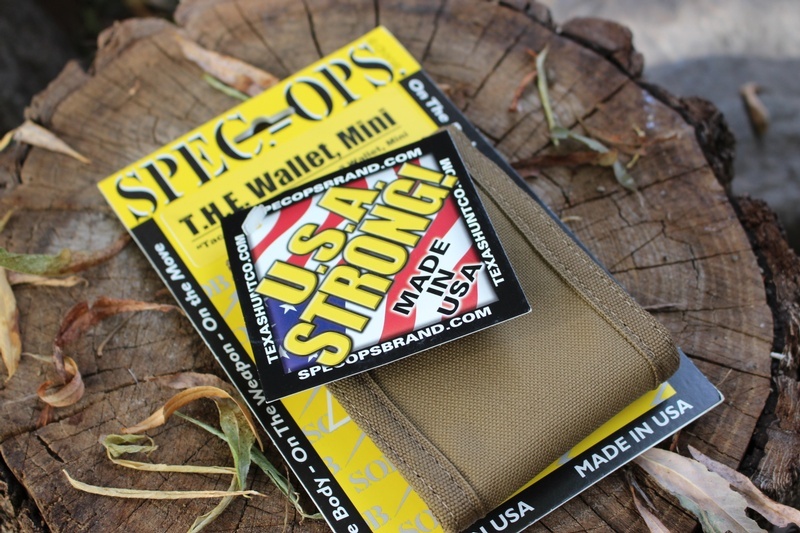 Feel free to contact us if you have any questions about the Spec Ops Brand THE Mini Wallet .